GURANTEED LOWEST PRICE IN NORTH AMERICA. Orange Blossom Absolute is an excellent floral for mixing with herbal and spice scents. Like most other absolutes, it is also very powerful -- a drop or two in a half ounce bottle will significantly change the character of a blend. Our old blend Wood Song used orange flower absolute to achieve its characteristic honeysuckle / woodland flowers scent. Additioanlly, you can use orange blossom as a wonderful personal perfume by combining about 30 drops into a half ounce of carrier. 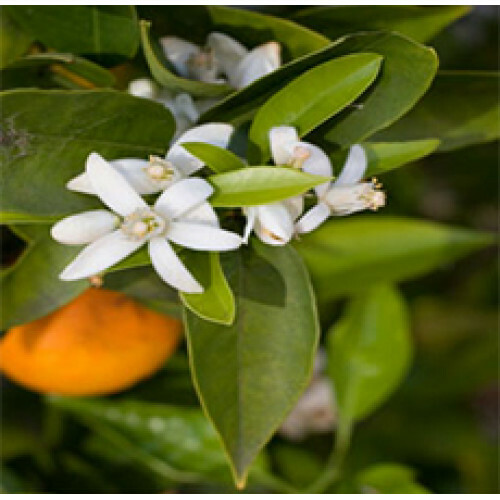 Orange Flower Absolute, also known as Neroli absolute has an exquisite and exotic scent. It is a wonderful ingredient in perfumery and a great addition to bath and body formulations. Orange Flower Absolute possesses the properties of being an antidepressant, antiseptic, antispasmodic, carminative, digestive, and tonic.